The first type of discovery is the classical type of science that we all learn about in eighth grade: a scientist has a hypothesis and sets out to prove it. Some of the most famous science stories of the past involve this sort of hypothesis testing: Einstein theory predicts that the sun’s gravitational field would deflect the positions of nearby stars in the sky; Eddington mounts an expedition to view stars during an eclipse and proves Einstein right; and relativity is instantly enshrined as the newest part of physics. In many ways this classical type of discovery is also the most respected. It is certainly the most dramatic. In thinking back over interesting discoveries I have made over the years I can think of none whatsoever that fit this category. Why not? Partially it is because not a lot of actual science works in this way. In looking over the list, say, of Nobel prizes in physics, most of them are not for this type of eighth-grade-textbook hypothesis-testing science. Most science proceeds in one of the other two flavors. Interestingly, though, for 2008, I am indeed working on one such type of hypothesis-testing discovery. It would not be nearly as dramatic as Einstein and Eddington or as universally encompassing as relativity. But, still, it’s a hypothesis I have that I am attempting to test. The hypothesis suggests that collisions between large objects like Pluto and Eris and others out in the Kuiper belt played a much larger role in sculpting these objects than anyone previously thought, and, in particular, the collisions removed much of the ice that these cold objects would have had in their interiors. The key to testing a hypothesis like this is to figure out a test, like Eddington realizing that an eclipse would provide the key measurements. For my hypothesis there are two tests. The first is to show that a giant collision indeed removes ice. The second is to show that an object that has a lot of ice didn’t have a giant collision. The giant Kuiper belt object and dwarf planet Quaoar (for details on these large Kuiper belt objects see my dwarf planet website) looks like it indeed had a giant collision. The key piece of evidence is that it has tiny moon circling it which appears to be a remnant of the collision, much as our Moon is a remnant of a collision between a Mars-sized object and the Earth 4.5 billion years ago. In my hypothesis, this giant collision that happened on Quaoar long ago should have removed most of the ice inside of Quaoar, meaning that the interior should be much more rock than ice. I can test this prediction by figuring out how much Quaoar weighs and seeing if its weight is more rock-like than ice-like. And I can figure out the weight by using a method first used by Newton more than 300 years ago. If I track the path of the moon around Quaoar and calculate how much time each orbit takes I can use that information to get the weight. If Quaoar is heavy and rock-like, the moon will be pulled along quickly, while if Quaoar has more ice and is lighter, the moon will take longer to go around. The moon of Quaoar is, unfortunately, so tiny and so close to Quaoar itself that it is impossible to see it with anything other than the Hubble Space Telescope. Last year I wrote a proposal asking to use the Space Telescope to track the moon, the proposal was accepted, and now the observations are scheduled for sometime in the spring (turnaround time is not fast!). One of the nice things about hypothesis testing is that the answer can sometimes be instantly clear. As soon as the pictures from the Hubble Space Telescope are taken I will be able to quickly calculate the amount of rock and ice inside Quaoar and see if I’m right or wrong. If I’m wrong the whole hypothesis is dead and thrown out the window. If I’m right it will be time to go on to the second test. The second test is to show that an object that has a lot of ice didn’t have a giant collision. Another giant Kuiper belt objet and dwarf planet, Orcus (which is about the same size as Quaoar, that is to say about half the size of Pluto), also has a moon, and we had observations from the Hubble Space Telescope about a year ago which allowed us to track the orbit of that moon and determine that Orcus is much icier than anyone had anticipated. The moon of Orcus might have formed in a giant collision, but the moon is a bit larger than the other moons of dwarf planets that look like collisional remnants. Perhaps, then, Orcus never experienced a giant impact and the moon is simply another Kuiper belt object captured from space. For my hypothesis to be correct, this moon must be captured, because otherwise my hypothesis would predict that Orcus should be rocky, not icy. Happily, I think we can test whether or not the satellite of Orcus came from a collision or was captured from space by looking in detail at the composition of what is on its surface. Typical Kuiper belt objects (like one that Orcus would capture) appear to look very different in surface composition from collisionally formed satellites. The best way to look at the surface composition is to examine the spectrum of sunlight after it has reflected off the surface of the satellite. Like the satellite of Quaoar, the satellite of Orcus is small, faint, and close in, so looking at the spectrum is particularly difficult. We are thus going out to the Keck telescope – the largest telescope in the world – on the summit of Mauna Kea in Hawaii at the end of March to spend three nights trying to get a clear glimpse of the satellite. We’ll be using the fancy new Laser Guide Star Adaptive Optics system at the observatory which shoots a laser beam into the sky to help correct the smearing caused by the earth’s atmosphere. I’ll write in detail about that at the end of March. Like the first test, the results of this second test will be apparent almost instantly. In only a few hours I should be able to figure out what the moon of Orcus has on its surface. If the moon of Orcus looks like it was made in a collision I will again have to toss the hypothesis out. But if the moon appears captured, the hypothesis will have survived two important tests, and it will suddenly have to be considered seriously. That doesn’t mean it will have been proved correct; other astronomers will look for other ways to test and challenge the hypothesis. But if it is correct, it will pass all of these tests and challenges and become part of our understanding of the outer solar system. So while I said “I have no idea” to my friend who asked about discoveries for 2008, it is clear that, at least in this case, I have a very specific idea and definite observations to confirm or refute the idea. I presented these ideas at a scientific conference in December and suggested that I thought there is approximately a 15% chance that I am correct. I think that’s about right. 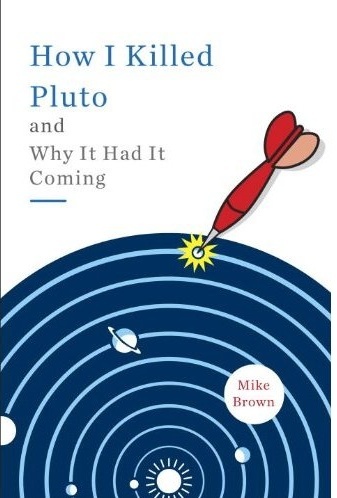 My hypothesis would require a fairly major revision of some of our fundamental ideas about how the outer solar system formed, and such major revisions don’t come along too frequently, so if you felt like betting I would recommend betting against me. But, still, at least I have one idea of what might be a discovery in 2008. Next week I’ll write about the other two types of discoveries and what else might happen in 2008.